Insight Trips are led by accompanying HANDS staff and, besides being enriching and informative, they are also comfortable and safe. These trips feature five or four-star hotels, top restaurants, experienced fluent English and Arabic – speaking staff, daily guides and special visits to places often closed to tourists. “The Persians, Greeks and Romans, the French and the British succeeded the Pharaohs as presiders over Egypt. Travel with HANDS and you will see all the wonders they left for the world: pyramids and temples, tombs and paintings and writings. You will see synagogues, churches and mosques, as well as modern cities modeled on European capitals. But as an insider traveling with HANDS, you will be given yet another dimension. They will honor you as an insider: they will take you to see village development projects they support, and perhaps have you participate in one of their intercultural and interfaith dialogues. 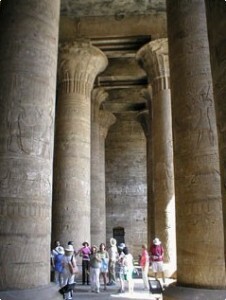 Trip features sightseeing and community visits in Cairo, Nile cruise from Aswan to Luxor, and snorkeling in the Red Sea! More information about the pricing and registration will be available on our web site in early April. If you would like to receive more information about this trip, please sign up here.